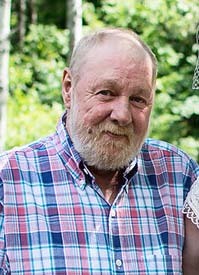 Obituary for Dennis R. Clark | Carlson-Shugarts Funeral Home, Inc.
Dennis Robert Clark age 59 of Main Street Brockway, PA; died on Tuesday January 22, 2019. Born on May 23, 1959 in DuBois, PA; he was the son of the late Rena Ward. Retired, Denny had been employed at the Brockway Clay Plant and later for Ron Burkett Construction. A Stone Mason by trade, his work can be seen through out the Brockway area. Denny was raised in the Catholic faith. He enjoyed his family, friends and life. He also enjoyed taking rides in his jeep on the country roads around Brockway. He is survived by 2 daughters: Jennifer (Matt) Beers of Brockport; Chelsey (Darren) Pisarchick of Brockway; 2 sons: Eric Clark and Steve (Kim) Clark both of Brockway; 3 brothers: Dave Swarmer of Brockway; Donny Swarmer of Pittsburgh and Danny (Christy) Kerstetter of Enola, PA; 4 grandchildren: Emma Clark, Anabella Pisarchick, Selina Pisarchick, Emilia Pisarchick and 2 step grandchildren Danielle and Dillon. He is also survived by 2 life long friends Vince Camuso and Deb Ward. All services for Denny will be private at the convenience of his family. Memorial donations may be made to Penn Highlands DuBois Hospice 100 Hospital Avenue DuBois, PA 15801.